TRADEMARK FREE ZONE — . :: GSA SEO & Marketing Forum ::. "TRADEMARK FREE ZONE - Network Solutions has no knowledge of whether any content on this page violates any third party intellectual property rights. Network Solutions will promptly remove any content reasonably objected to by the Owner of a pre-existing trademark. If you have a Trademark issue, please contact trademarkfreezone@networksolutions.com." In doing some research on this it may be something to do with public proxys being ticked in my config. 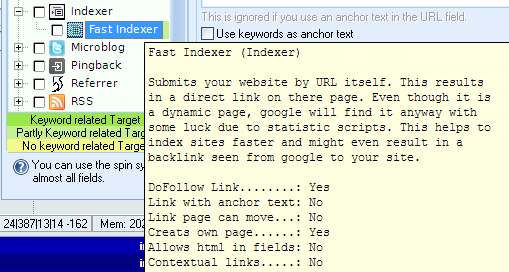 Thats the "Fast Indexer" engine which will manipulate a redirect URL from a expired domain. It will exchange the domain from included in the URL's path to create a link to your domain. If you don'T like that, simply disable the "Fast Indexer" engine.